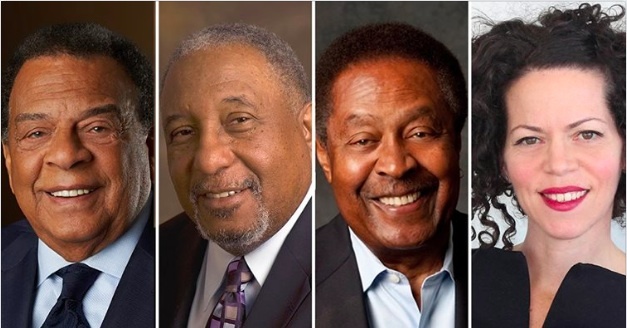 Passing the Torch — From Selma to Today: Lessons from Leaders of the Civil Rights Movement is a panel discussion with four fascinating thought leaders taking place at The Skirball on February 22. Three pivotal figures of the 1960s civil rights movement — former UN Ambassador Andrew Young, Dr. Bernard Lafayette Jr., and Dr. Clarence B. Jones—— will join moderator Stosh Cotler, executive director of Bend the Arc: A Jewish Partnership for Justice, to reflect on how the Selma to Montgomery march and other key actions led to the passage of the Voting Rights Act of 1965. Ponder what strategies can transform racist and unjust public policy today during this relevant and timely event. Tickets are $12, or $10 for full-time students. You can find additional information via the link below.